Spread butter on each side of the bread. 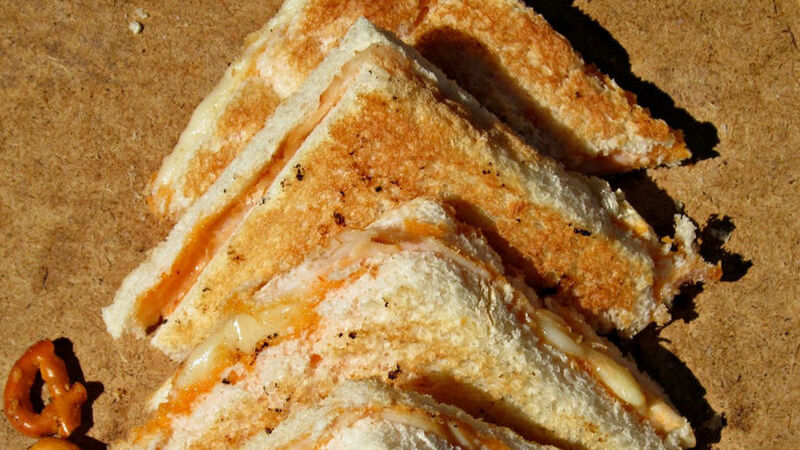 Over each slice of bread, place one slice of cheese. Then spread a bit of ketchup over the cheese and top with a slice of ham and cheese. Finish with a slice of bread on top, previously buttered on both sides. Repeat this process for the rest of the sandwiches. When ready, place the sandwiches over a baking sheet and toast on each side, about 10 minutes total. Afterward, remove from heat and cut into triangles. Serve warm. Swap the ingredients according to your taste; you can use turkey instead of ham, for example. In my native Argentina, there is a great variety of gastronomy. As in the majority of countries there are also typical dishes from each region. Today I would like to share with you a delicioso sandwich from the city of Rosario in the Santa Fe province where I was born and raised. If one day you have the opportunity to visit this city, you must make time to visit the flag monument, the riverside and eat a traditional "carlito" sandwich in one of the neighborhood bars. The carlito is only found in Rosario. They are prepared with typical Argentinean sliced bread, and toasted with ham and cheese. Great for dinner or a snack for an evening stroll, here we'll recreate this recipe for you to enjoy at home, even if you are far or very distant from this great city.